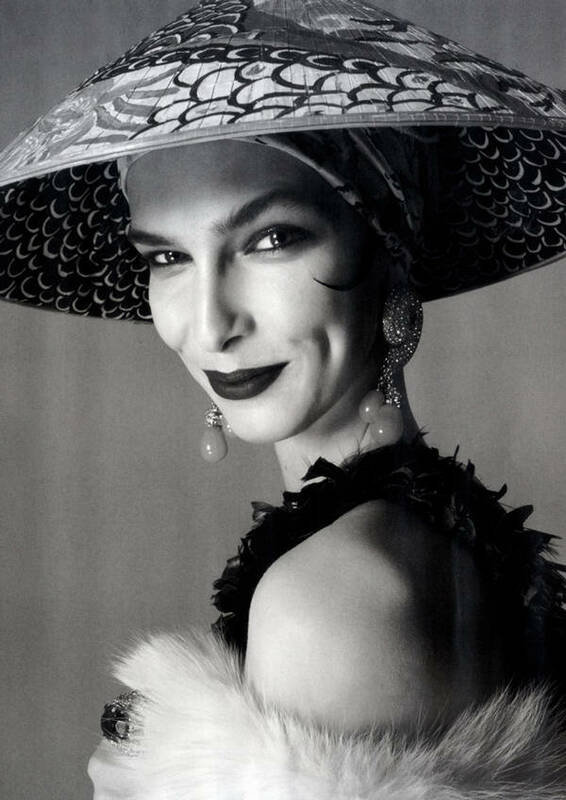 Kristina Salinovic by Steven Meisel for Vogue Italia, April 2011. …I saw another face. A timeless face. 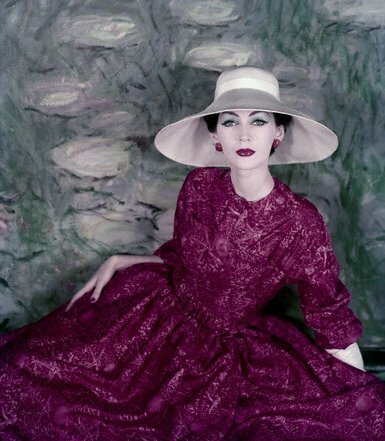 Dovima wearing Dior in Vogue, 1956. The stance, too, transcends time. 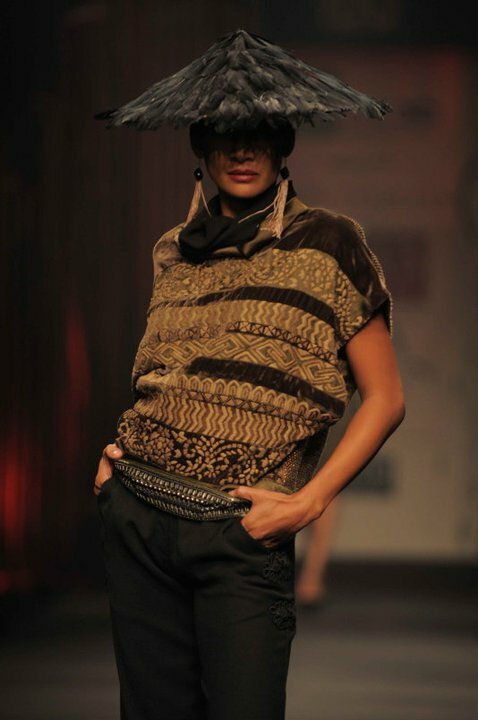 Both it and the hat were seen recently at Tarun Tahiliani’s AW11 show. A look and a stance from Tarun Tahiliani, AW11. A feather in your cap, perhaps? 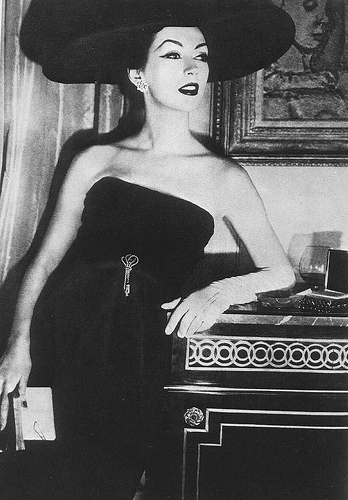 Dovima would have worn the feathered hat so well, no? Images (in order): MagXone; My Vintage Vogue; 50’sfan; WLIFW.